While we send along best wishes for every bird that we release back to the wild, it’s rare that one gets an entire ceremony and prayer circle like this woodpecker did. 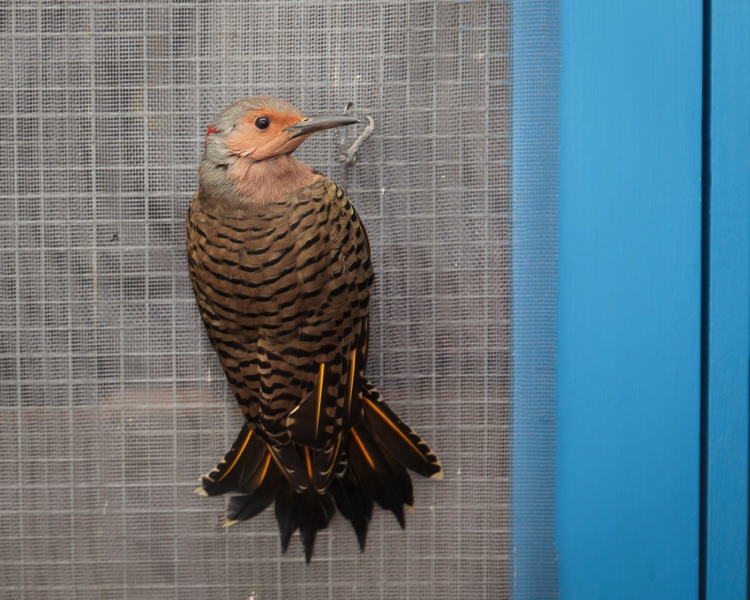 This beautiful Northern Flicker (Colaptes auratus) was brought into the Wild Bird Fund Rehabilitation Center in Manhattan after a kind-hearted passerby found her stunned outside the Schubert Theater. So close to the disorienting lights and glass of Times Square, the Flicker most likely collided with a building and was unable to stand or walk. The ability to walk on the ground is vital for Flickers. Unlike other woodpeckers that hammer the sides of trees to draw out insects, Flickers hop along the ground foraging for ants, drumming the soil with their beaks and picking up insects with their long tongues. At the Wild Bird Fund our patient was given fluids, a hearty dinner of mealworms and a warm, dark place to recover. After several days she was able to cling to screens (and shirts!) and soon was walking without signs of neurological injury. 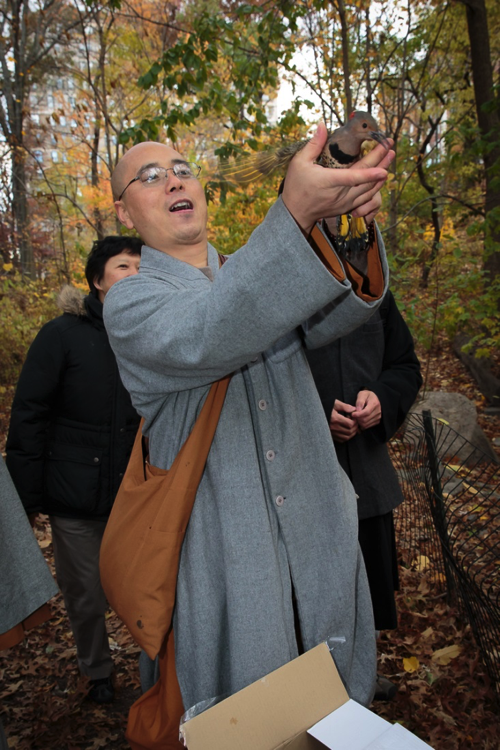 While she was building up strength in her legs, the Wild Bird Fund was contacted by a group of nuns and monks from the Grace Gratitude Buddhist Temple in New York City who were interested in releasing birds. For Buddhists, releasing caged animals is considered an act of kindness that creates positive karma. 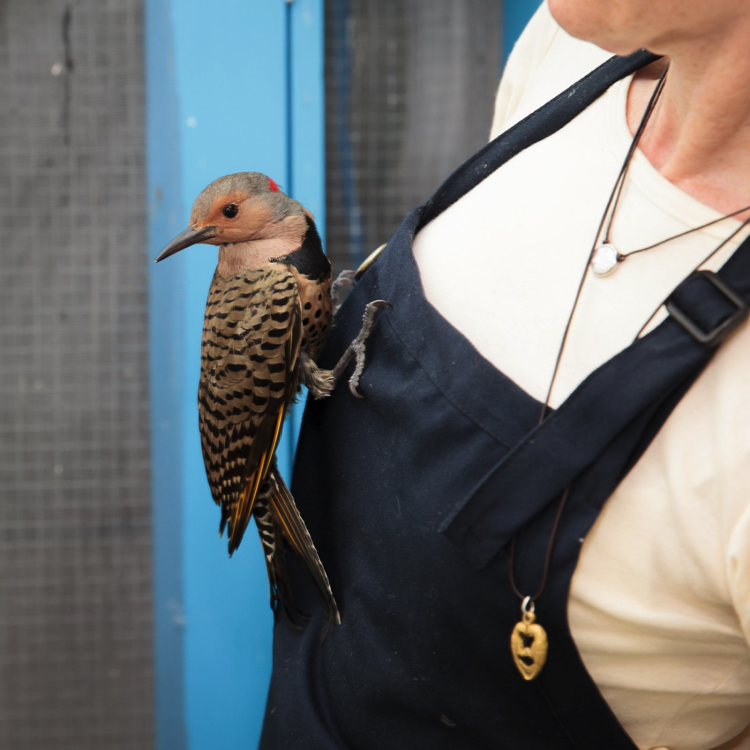 But rather than releasing non-native species that negatively impact the environment, or worse, domesticated animals that cannot survive in the wild, the members of Grace Gratitude wanted to team up with the Wild Bird Fund and return rehabilitated birds back to the wild where they belong. It was perfect timing for our Flicker. 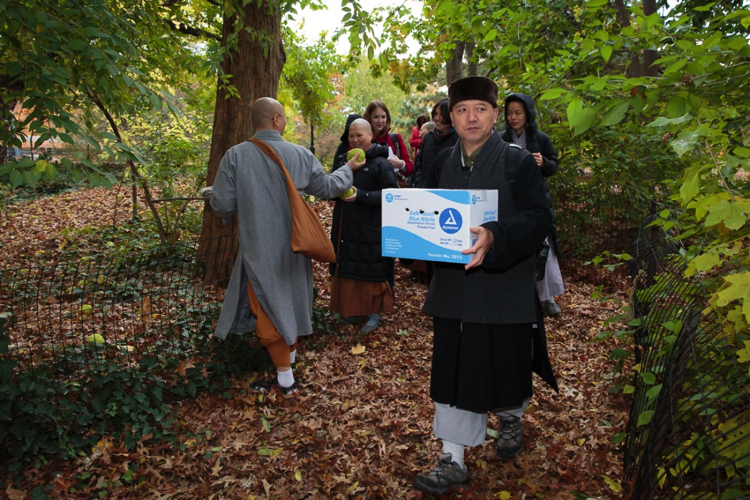 Safely tucked away inside a cardboard box, our patient was carried to a clearing in Central Park by one of the monks while the rest of the group gathered in a semi-circle around her. 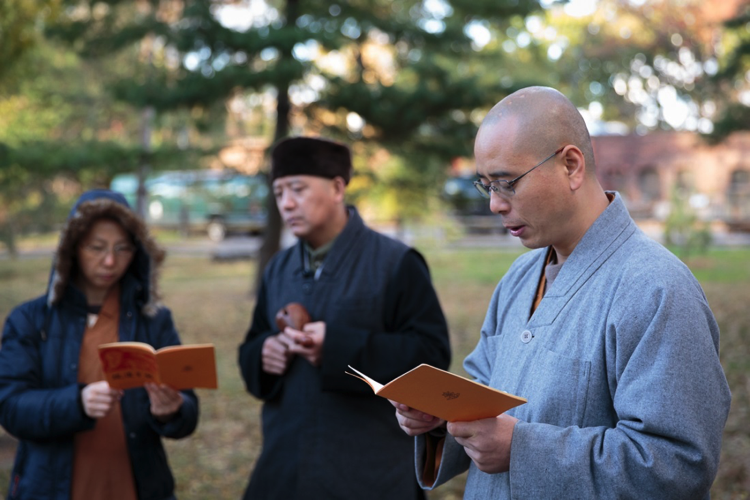 As they began praying in Mandarin and Sanskrit, their voices lifted together in song and floated out above the trees. They bowed towards to the closed box, wishing the bird good luck and praying that she find enlightenment in her future life. 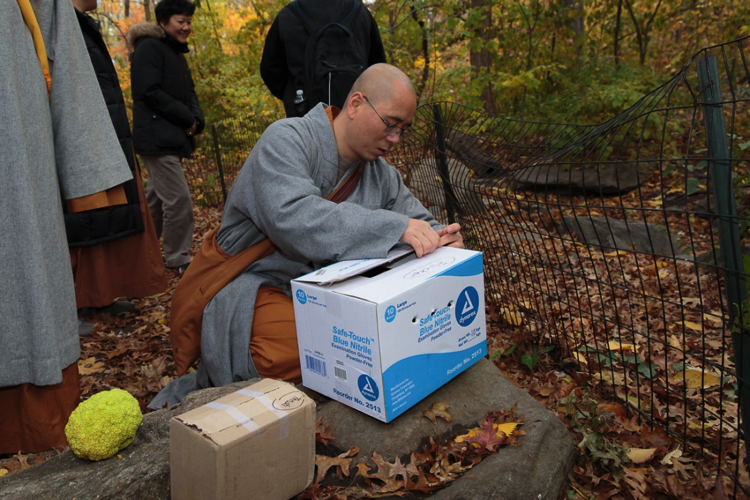 Finally one of the monks opened the box and gently lifted out the Flicker. Raising his arms to the sky with one last benediction, the bird spread her wings out wide and flew up into the trees as the singing voices below faded away into the canopy.